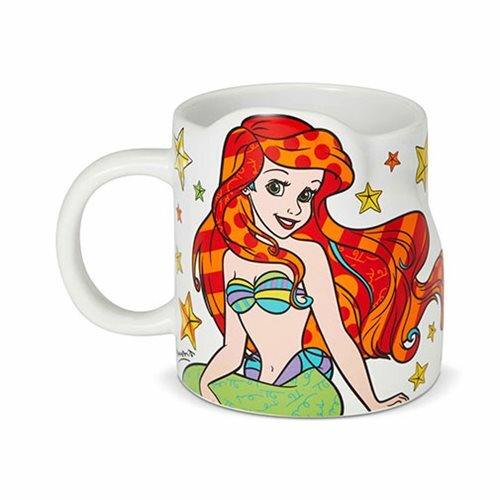 Be part of the human world again with an Ariel mug full of much-needed caffeine! Jumpstart your morning with bold patterns mixed into the classic look of your favorite mermaid. This sculpted mug will reenergize you for a day full of fun in the sun! The Disney Little Mermaid Ariel Mug by Romero Britto is must have for fans of the Disney Princess, Ariel. Measures about 4 1/2-inches long x 3 3/4-inches tall x 3 1/8-inches wide.